Tucked into Walla Walla’s Airport region is Adamant Cellars – Pouring Bordeaux blends, cabernet franc, cabernet sauvignon & bubbles! 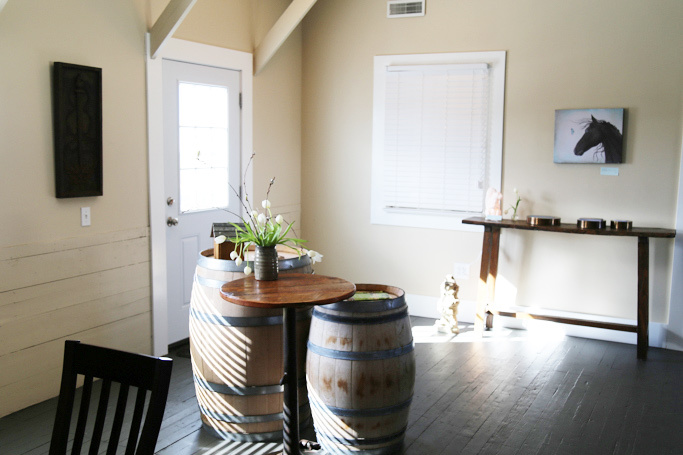 When you set foot into Adamant Cellars in Walla Walla’s airport district you are actually entering what, at one point, was an old mess hall and aircraft maintenance building of the Walla Walla Army Air Base. Today, it looks nothing like that. 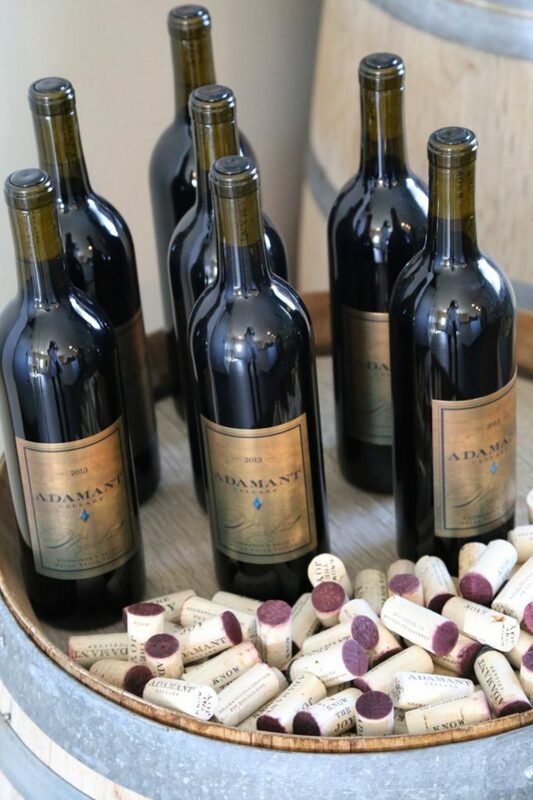 The walls of Adamant Cellars are painted in a shade of robins egg blue, the rustic wood floors make you feel like you’re in an old log cabin, and there is a fireplace along the wall – All setting the scene for what is about to be a cozy wine tasting. We’ve been to Adamant Cellars twice now. On our first visit, we were greeted by owner Debra Stinger, and on our second visit, Debra’s husband, winemaker/owner Devin Stinger was there to pour us their lovely wines. 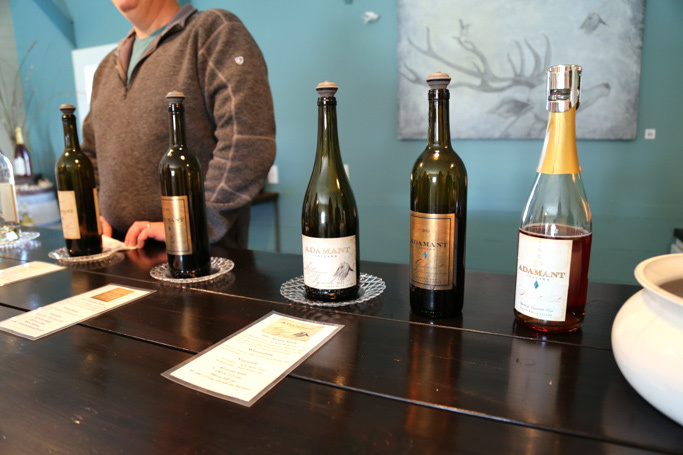 The two founded Adamant Cellars in 2006 and their ever-expanding lineup has some unique varieties that you’re not going to find at every tasting room in Walla Walla – Albarino, Tempranillo and a rosé sparkling wine being among them. There’s also a Merlot, Cabernet Sauvignon, Syrah and Cabernet Franc that are not to be missed. The Albarino, Syrah, Tempranillo and sparking rosé have all found their way into our rapidly growing wine cellar. 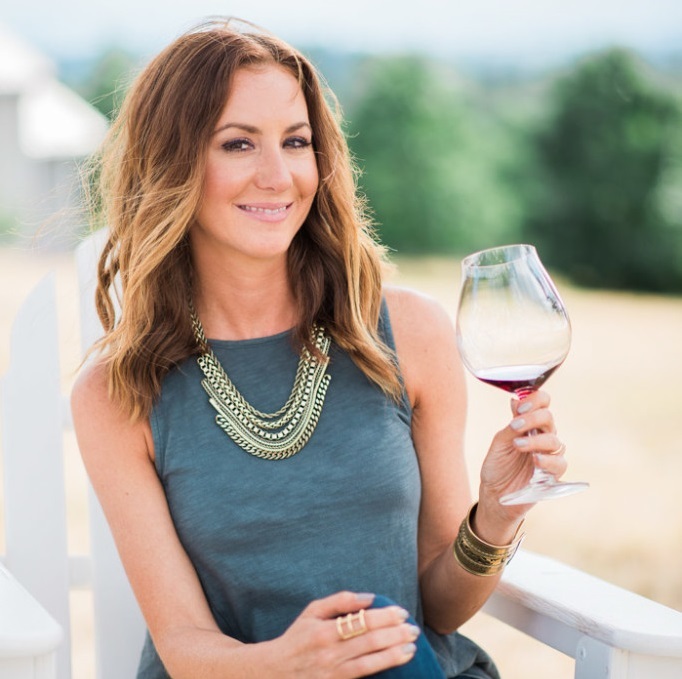 Definitely make a stop in the next time you’re in Walla Walla for amazing wines, great company and a relaxed tasting experience. Adamant Cellars is located at 525 E. Cessna Avenue, Walla Walla, Washington and is open daily from 11am – 5pm. 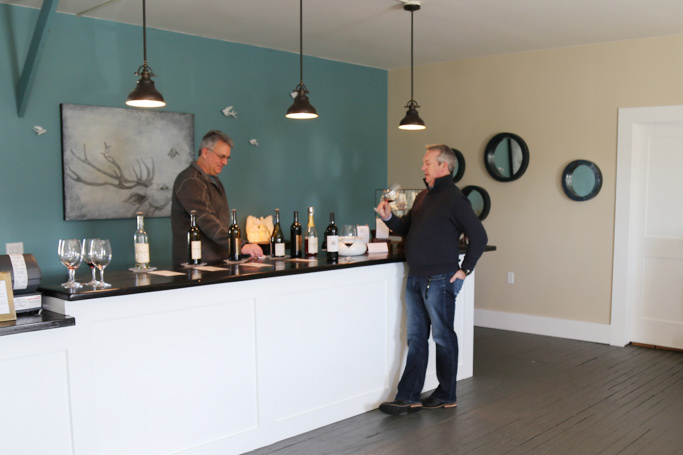 Those tasting rooms in the Walla Walla airport district are so fun! 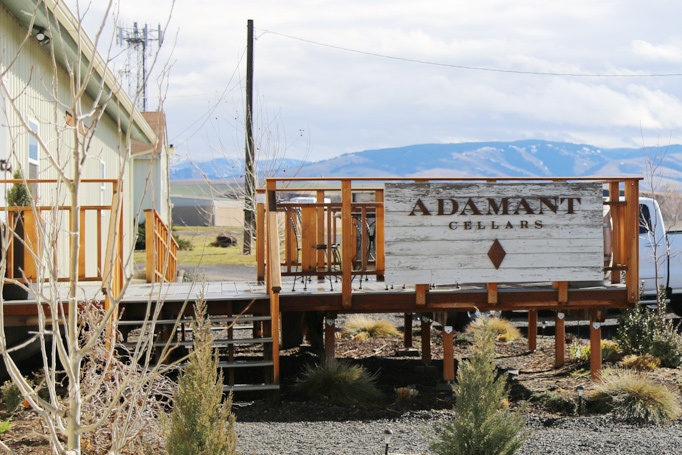 I’ve not heard of Adamant Cellars before but I will have to check them out on my next trip out to Walla Walla. Thanks for the great tip! There are so many tasting rooms in the airport district in Walla Walla – We’re still exploring the area and learning about new ones every couple months! What a cool place! Is that shiplap in that first photo?? Sounds like a great spot, I would like to explore that area sometime!